"The Mulebot is a multifunction remote unit used for logistic and utility transport, communications, combat force support, and armed security. The extraordinary capacities of this Remote allow it to operate in support of the lightest and most mobile PanOceanian forces. Its mobility allows it to go where any PanOceanian soldier can, and even further if necessary. 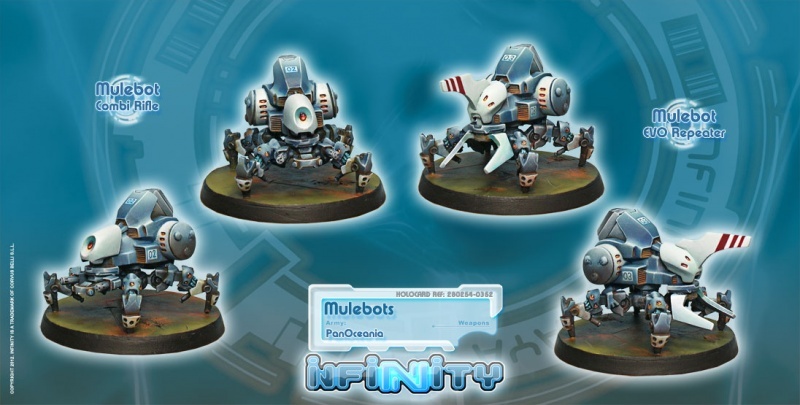 The main purpose of the Mulebot is to free a soldier from the most dirty and exhausting jobs, allowing him to focus on combat without having to worry about supplies, ammunition or casualty recovery. The transport configuration of the Mulebot is designed to provide support to troops thanks to an optimal capacity for equipment and supply load. Multiple and mobile anchorage points allow any kind of load configuration, including casualty transportation. The transport model is also equipped to detect and neutralize explosives, opening safe paths through the densest of mine fields. The armed configurations of the Remote work as support units for combat forces in the frontline and as inner and perimeter security for the rearguard. The communications model allows effective deployment of EVO Troops on the virtual battlefield, increasing the efficiency and capabilities of the tactical Hackers. Furthermore, in anticipation of the fast evolution of military technology, the Mulebot has an open architecture, allowing it to be adapted to new technological solutions developed by the R&D departments of the Hexaedron." Module obtained from Complex-Net. Official information web of the PanOceanian Military Complex. Only in Maya. 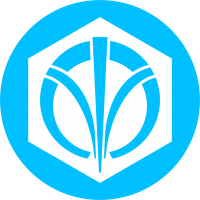 This page was last modified on 20 March 2018, at 06:59.